Four months ago, I was not a climber. Three months and a few days ago, I walked into Boulderz Climbing Centre on Dupont, determined to throw myself into something new. I wanted to find stability in my life as a performer and my solution had been to further shake things up; I was to be a complete beginner at something, in a place where I knew absolutely no one. As fate would have it, I found myself back at Boulderz four days later, this time, auditioning for a Toronto Fringe show called Crux. The concept was innovative and catchy – Crux: a site-specific, immersive play that takes its audience into the gripping world of climbing. The show, written and directed by Greg Borris, was a fine balance of climbing, dancing and theatre. It would also allow audience members to freely follow any of the 8 characters throughout the gym. 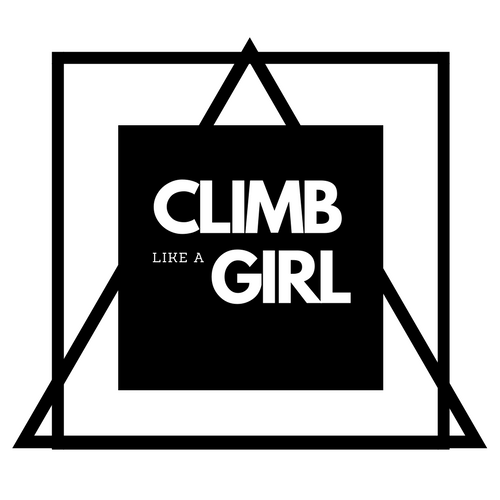 I walked out of my audition hoping the stars would align in my favour – I was already hooked on climbing and I desperately wanted to be a part of this unique experience. Fast forward three months’ time and I’m still thanking my lucky stars: not only was I was able to pursue climbing, but I had the good fortune to be cast as Theresa in Crux! With less than two weeks to opening the show, I look back at the progress I’ve made. The walls have helped me develop my strength and confidence in ways I never thought possible. They forced me to slow down and deal with problems, one move at a time. They taught me how to take risks and trust. Set on the night of the Bigger Better Boulder competition, Crux gives you the option to choose who you follow throughout the show. My character, Theresa, works at the gym and has to manage the comp. Juggling the tensions of the evening, she slips in and out of multiple roles; Theresa must become a teacher, friend, mediator and fighter in order to maintain her own personal balance. As a dancer and an actor, I love how smoothly the scenes transition into dance and climbing sequences. As in real life, we carry our emotions onto the wall and they shape the way we move. Crux has taught me that falling isn’t failing and that the only way is through. It has been a truly remarkable process that has changed me for the better and I believe it can change you too, if you give it a chance. Come see who will crush and who will crack under the pressure of the Bigger Better Boulder comp. Come see what drives people up the walls. Crux runs from June 29th to July 10th at Boulderz Climbing Centre. Showtimes: 9:30PM on weeknights, 7:30PM weekends. No show July 3rd . Laura Del Papa is a Montreal born and raised performer, currently based in Toronto. Interested in all aspects of theatre, she is unabashedly exploring opportunities all the while pursuing her training, her writing, and enjoying whatever comes her way in life. Awesome post! I can’t wait to see you in the show! I’ll be sure to follow you around lots!